Value Added Resellers (VARs) are a component of the industry that allow trained expertise to offer the latest in emerging technologies to ensure that the client receives the most unbiased guidance and recommendations. Through our extensive experience, industry-recognized memberships and certifications, and leading manufacturer partnerships, QAI provides an independent review and analysis of your requirements, assesses the “right” technologies, and recommends a solution that not only meets your needs today, but will grow with you throughout the years to come. As a result of our partner relationships, QAI has easy access to any and all of the resources and expertise necessary to help clients achieve their business goals. Also, we are able to offer enhanced customer service, in addition to solutions at a cost-effective rate. QAI is frequently recognized for our commitment to client representation and the delivery of valued industry experience. 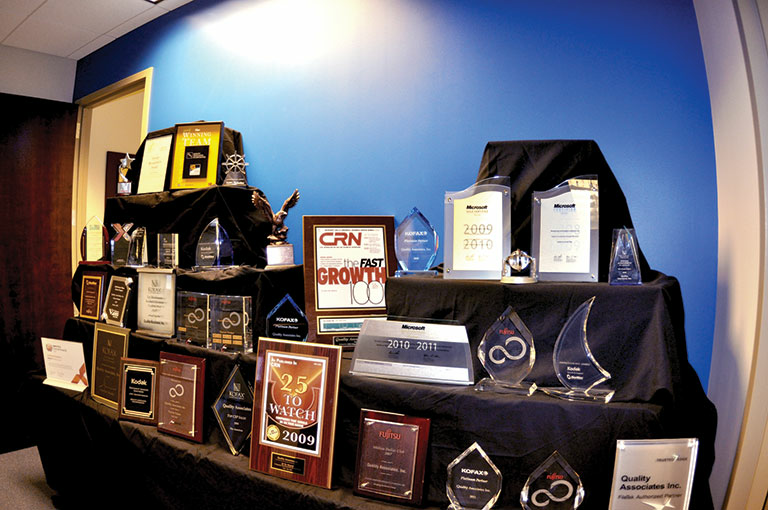 This is evident by some of the awards we’ve received over the years.